The kitchen is finally cleaned up and everything is put away from dinner. Must be time for a turkey sandwich! I love turkey sandwiches as much as Thanksgiving itself. It's the reason for the whole turkey thing , as far as I'm concerned. It's all about the sandwiches. This is an updated list of last year's turkey sandwiches I have known and loved -- and still do. Ham is an acceptable substitute in most cases, but give me a few slices of roasted turkey breast and I could make a feast between two slices of bread. How does your favorite turkey sandwich compare? Sweet Potato Pudding is the one dish that makes my Thanksgiving just right. The benchmark for the real and true holiday dinner. While many families enjoy some form of sweet potatoes as part of their Thanksgiving meal, mine is the only family I've ever come across that prepares them with a twist. We are not typical brown sugar, maple syrup, cinnamon, coconut, pecan or marshmallow people when it comes to sweet potatoes. We do not boil, bake, microwave or mash them. I suspect if we didn't have any Sweet Potato Pudding, we wouldn't have sweet potatoes at all. My Great Aunt Martha first made this dish for us so many years ago that I don't ever remember any other sweet potato dish at our holiday meals. Every year she would walk into my grandmother's house on Thanksgiving Day with one very small casserole dish of the golden orange treat we all craved. Due to the small amount she made, each individual portion amounted to about a spoonful, so we treasured and savored every delicate morsel. No one dared ask Aunt Martha to bring, maybe, two dishes of Sweet Potato Pudding. We just assumed the preparation was so labor intensive, the ingredients so costly and rare, that we were fortunate to have just one taste at Thanksgiving and another at Christmas. We'd shake our heads in wonder, but never asked why the single dish. Eventually, my mother and grandmother could stand it no longer and became co-keepers of the recipe, thus assuring the continuation of our treasured holiday tradition for future generations, god forbid something should happen to Aunt Martha. That's when they discovered the answer to the unspoken question. And, indeed, there was a very good reason she never doubled her recipe. Sweet Potato Pudding, a la Aunt Martha, was made with grated, raw sweet potatoes. 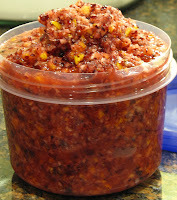 Hand grated, raw sweet potatoes. Lots of hand grated raw sweet potatoes went into that single, small dish. Now, Aunt Martha was from very sturdy stock, and lived most of her life on a farm. Hard work was certainly not anything she shied away from but, apparently, she drew the line of sacrifice at knuckles scraped raw, hands cramped and arms strained -- even for her family. My grandmother, Beema, and my mother passed the Sweet Potato Pudding duties back and forth for all of hand-held box-graters years that followed. Sure, they made a larger recipe than Aunt Martha ever did, but they always let us know a supreme sacrifice had been made for us, as we sat down to our generously prepared two spoons of that heavenly pudding. The advent of the Cuisinart significantly reduced the risk of raw knuckles, hand cramping and muscle strain, and increased the amount of Sweet Potato Pudding passed at our holiday table. But it is a bittersweet reward. Our holidays are missing Aunt Martha and Beema, the people who created the tradition we still enjoy today, some 50 years later. But with each sweet bite I savor, I will always remember them, for the love and tradition they gave our family -- our very own Sweet Potato Pudding, with grated, raw sweet potatoes. Preheat oven to 375 degrees. In a large bowl, toss sweet potatoes and sugar to mix. Add beaten eggs, melted butter, milk and nutmeg. Pour into a heavy casserole dish and bake covered at 375 degrees for 30 minutes. Remove cover and bake for another 40 - 45 minutes, until lightly browned and crisp on top. Wow! This is my 59th column for Heartland Women. Can you believe it? Little did I know, back in December 2004, when I wrote my first column for the second edition of this newspaper, I would still be here five years later, still writing about food and wondering why it took me so long to fall into such a fun job. That makes this my fifth November to write about the grandest of all food holidays—Thanksgiving. Well, actually, when I checked back through my archives, November ’05 was more about barbecue than turkey, but let’s just chalk that one up to all the years I spent living in the land where everyday is barbecue day, including holidays. In spite of my love for food writing, I fear I’ve fallen victim to the classic November conundrum for food writers—coming up with something new and interesting to write about Thanksgiving. This has to be the most challenging holiday column of the year. Thanksgiving is the ultimate American holiday for food – full of traditions not to be tampered with – and a menu that is pretty much set in stone for most families. Gobble, gobble, gobble . . . it must be turkey! Well, maybe not everyone serves turkey, but we all feel obligated to make excuses if we don’t. And the same is true with stuffing, mashed potatoes, sweet potatoes, cranberries, the ubiquitous green bean casserole and pumpkin pie. Just try to serve pizza or a burgers with fries—or anything else you know they love every other day of the year—and prepare yourself for the protests. Dare we ask who decided we should eat turkey, mashed potatoes and cranberries for Thanksgiving anyway? I mean, we’re reasonably certain that the Pilgrims ate some kind of fowl for their feast, but nothing like the broad-breasted turkeys of modern America. And do you think Pilgrims really mashed all those potatoes without an electric mixer? 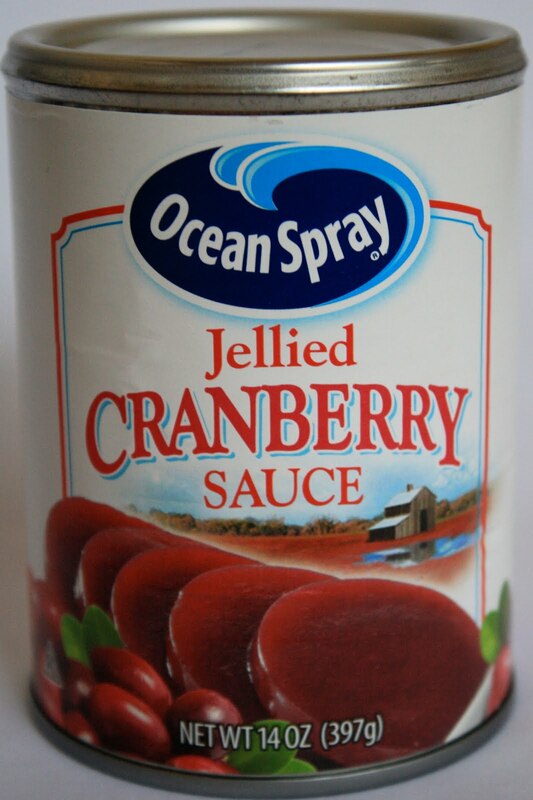 I’ve even read that there was a shortage of sugar after that first year in Plymouth, so I seriously doubt that tart cranberries made the cut for the first holiday feast. It’s probably not just the food we love about Thanksgiving, although having plenty of food is always a good idea when a crowd gathers at your house. I suspect we also love Thanksgiving so much for its ritual and tradition. We like knowing what to expect – the familiar, comfortable feeling of being surrounded by family and friends, all-day football, a gracious feast and a nap. Don’t forget the nap! Just how do we know which elements of holiday rituals to maintain through the years, or when it’s time to spice things up with something fresh and new? Are we more influenced by relentless advertising hype for a trendy new convenience food, or a stunning magazine cover featuring a new way to prepare the perfect turkey, or a tempting new recipe from a trusted friend? Or should we hold fast to the familiar warm-fuzzy feeling that comes from passing Great Aunt Martha’s Sweet Potato Casserole to the brother seated next to you? Often circumstances beyond our control force a change in family tradition. For many years, our family holidays maintained the same degree of flexibility required of every other day in the life of an Air Force or airline family. Rarely were we able to make the trip home to spend holidays with either of our families. Having time off for Thanksgiving or Christmas in the Air Force required determination, patience and more than a little luck. There was the ever-present risk of unexpected last minute changes to even the best-laid plans. We became accustomed to holidays for our little family of three often that required some creativity and adaptability on our part, just to be together. We always had Thanksgiving; it just wasn’t always on the fourth Thursday in November. But, in a way, that became our tradition, as much as turkey, cranberries and pumpkin pie. We were happy just to share a turkey sandwich sometime around the end of the month of November, and maybe a piece of pumpkin pie was nice too. Everything else was gravy! Now that we are home in Southern Illinois, our newest Thanksgiving tradition means more to us than anyone can know. Both of our families now gather here, with us, for the real Thanksgiving. And our “family” continues to grow every year as we welcome newlyweds, in-laws, parents of in-laws and friends who are not related to any of us, into our fold. It is a wonderful feeling of togetherness, with just a little chaos thrown in for good measure. We love it! 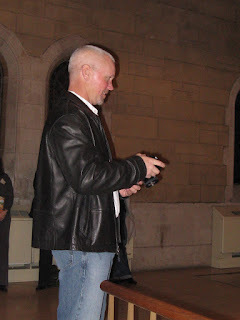 Sadly, this year we will be missing my brother, David, whom we lost this past winter. The loss will be felt by all of us, but I am hoping that our old and new holiday traditions will fill our hearts with memories of all the happy times when our family was all together. This Thanksgiving, and indeed every day, I am most thankful for my little family of four, my parents, our siblings, their spouses, our nieces and nephews, and all the dear friends we have in the many places we have lived. I cherish the peace and joy that come from familiar events and the unexpected pleasures in our lives from year to year. And I feel fortunate for every new opportunity that offers a chance to change and grow. We are also grateful for the jobs we have now, as well as the many people who have answered the call and continue to serve their country and their communities on holidays. The recipes for column #59, Season To Taste’s Thanksgiving #5, are some of my favorites and a few new takes on familiar holiday dishes from my friend, Libba. According to Miss Libba, her husband, Mike, is the real cook in their family, but she always seems to have a good recipe to share with me, so I suspect she cooks more than she wants us to know. I am so grateful for readers like Libba, and all of you, who show up here every month to see what I’m cooking. Enjoy all your favorite holiday dishes and have a Happy Thanksgiving! Cut 1-inch off ends of loaves and rim off bottom crusts. Tear bread into ½-inch pieces and set aside. In a large heavy skillet, melt 4 tbsp. of butter. Add onion and celery and cook over moderate heat, stirring occasionally, until soft, approximately 10 minutes. Add contents of skillet to bread cubes, pecans, raisins, parsley, thyme, salt and pepper. Toss well to combine. In a small bowl, lightly beat together eggs and chicken stock until blended. Pour egg mixture over bread and other ingredients and mix together. Melt 2 tbsp. butter in oven-safe casserole dish: add stuffing and flatten to fit dish. Cook in 325–degree oven for 10 to 15 minutes. Dot remaining 2 tbsp. butter over stuffing and cook for another 10 minutes. (Can be done to here 1 day in advance.) Cover and refrigerate. Before serving, remove from refrigerator; bring to room temperature and bake in 325-degree oven for 1 hour. Peel potatoes, cut into approx 2-in. pieces and place in large pot with enough water to cover. Using a vegetable peeler, remove just the yellow zest from the grapefruit and place into pot with potatoes. Bring to a boil, reduce heat and simmer until potatoes are tender; 20-40 minutes depending on how many potatoes. While potatoes are cooking, blanch peeled grapefruit in the boiling water for 30 seconds; rinse under cold water and then remove all of the white pith. Section the grapefruit and then, working over a large bowl, remove all of the membranes and seeds, reserving the grapefruit pulp and juice. When potatoes are cooked, drain, discard grapefruit zest and set aside to cool. Place cooled potatoes, grapefruit pulp & juice, brown sugar, butter & salt into a food processor and puree until smooth. It may be necessary to work in batches, again depending on how many potatoes you are using. Add eggs and mix well to blend. Pour mixture into a well-buttered 6 to 8-cup soufflé dish; place dish into a Bain Marie and bake for 45 minutes or until center is set. Use food processor with slicing blade to slice Brussels sprouts ¼-in. thick. Cut bacon ¼-in. pieces. Put olive oil into hot skillet; add bacon pieces; cover and cook on high for 2-3 minutes, until crisp and brown. Add Brussels sprouts and salt and pepper to taste; cover and cook for 1-2 minutes. Uncover and continue to cook, tossing occasionally, for 2 minutes, or until Brussels sprouts are tender, but still firm. Serves 4. Steam or boil green beans until they are tender-crisp; drain beans. While beans cook, mix the remaining ingredients in a small saucepan and heat on low until the butter melts. Place the beans in a serving dish and pour orange sauce over them. Serves 8. Preheat oven to 400 degrees. Combine cornmeal, sugar and poultry seasoning. Melt butter in a skillet and sauté celery and onion to soften. Stir in pimento remove from heat. Add eggs, milk and shortening to cornmeal mixture and stir until just moistened. Fold in onion mixture until just blended. Pour into greased muffin pan. Bake for 20-25 minutes, until golden brown on top. Serve warm. Just last year - where does the time go! - I wrote in my column for Heartland Women, and in this blog, about my friend and fellow food blogger, Lydia Walshin, and the wonderful nonprofit organization she founded eight years ago. This year, when I found out that Lydia and her merry band of bakers are about to bake and decorate their 10,000th cookie to donate to shelters, food pantries and other community help agencies, I had to write about Drop In & Decorate again. That is a lot of cookies! When I met her at a Boston blogger event, Lydia, who is from Rhode Island, was only the second food writer I'd ever met in person. 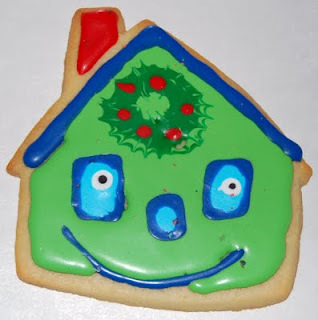 But when I found out that she had started her own tax-exempt nonprofit organization, Drop In & Decorate, I was really impressed that I'd met someone who could take the seemingly simple act of baking cookies and turn it into such a grand idea. It seems that Lydia, like me, was not much of a baker when she set out to bake cookies and decorate them that first year. The gingerbread cookie dough she and her friend baked and decorated together proved to be quite the baking challenge. A challenge that included the icing colors, mixed up by their helpful husbands, which offered little enhancement when spread over the very brown gingerbread cookies. 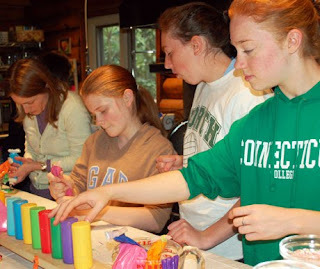 More friends were called to rush in and smooth over the cookies with new icing colors. The cookies turned out to be a success, much to the delight of the staff and residents at a local emergency shelter, who were the first recipients of the bakers' generous holiday spirit. And that's how Lydia's idea for Drop In & Decorate Cookies For Donation was born! By the next December, with a better cookie dough, a bake-ahead plan, and an improved technique for icing cookies, baking was underway again. This time, the group of cookie decoraters was pre-arranged, and several more help agencies were able to receive the beautifully wrapped cookies to enjoy during the holidays. And the decoraters let it be known that they were available for the following year too! 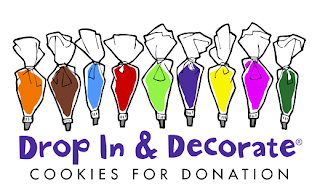 Since then, the idea of Drop In & Decorate cookies for donation parties has been adopted by groups of all kinds -- at home, work, school, places of worship and community centers -- and they take place throughout the year for various holidays, like Mother's Day. 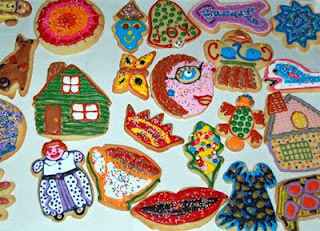 Communities far and wide have people of all ages baking, decorating, packaging and donating cookies for local agencies. As Lydia says, "It's a simple idea, in a complicated world, and something anyone can do." And it sounds like so much fun too! If you’d like to host your own Drop In & Decorate® event, Pillsbury and Wilton would like to help. You can write to lydia AT ninecooks DOT com for more info on how to get some free coupons and cookie cutters. Pillsbury has donated 50 VIP coupons, worth $3.00 each, off any Pillsbury product -- including sugar cookie mix, icing and flour -- to be distributed, first come, first served, while supply lasts, to anyone who plans to host a Drop In & Decorate event (max. 5 coupons per person). And Lydia says they'll include a Comfort Grip cookie cutter, donated by Wilton, while their supply lasts. This year, Lydia is hoping to have groups baking cookies to donate in all 50 states! Soon, that 10,000th cookie will come out of the oven to be decorated and donated to a shelter, food pantry, or other nonprofit agency serving the basic human needs of people in communities far and wide. Wouldn't it be nice if that special cookie came from your home and brought a smile to someone where you live? When you come back here tomorrow, I'll have even more cookie goodies for you. The Cookie Baker's Dream Giveaway is going to make one lucky baker SMILE like this little guy. Here's a hint - get your best cookie recipe ready and I'll see you then!